Water and Its Relation to Food. Glycobiology of Foods: Food Carbohydrates-Occurrence, Production, Food Uses, and Healthful Properties. Amino Acids, Oligopeptides, Polypeptides, and Proteins. Enzymes Applied in Food Technology. Lipids, Fats, and Oils. 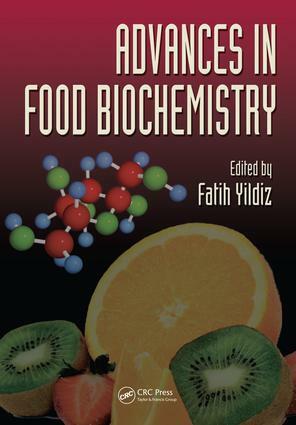 Nucleic Acid Biochemistry: Food Applications. Hormones: Regulation of Human Metabolism. Physiologically Bioactive Compounds of Functional Foods, Herbs, and Dietary Supplements. Flavor Compounds in Foods. Food Acids: Organic Acids, Volatile Organic Acids, and Phenolic Acids. Biological Oxidations: Enzymatic and Nonenzymatic Browning Reactions and Control Mechanisms. Lipid Oxidation and Control of Oxidation. Food Additives and Contaminants. Nutrigenomics and Nutrigenetics. Pharmacogenomics and Toxicogenomics in Food Chemicals. Index.